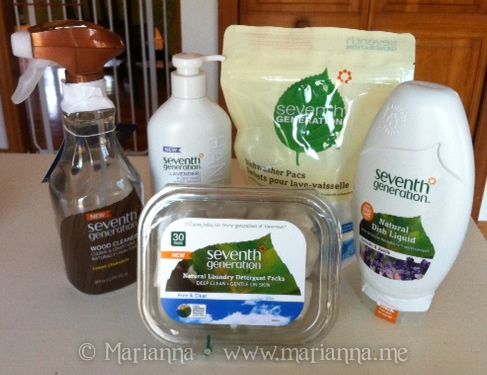 I have never used a seventh generation product. But I am glad for the opportunity to win them so I can test them out. Thanks. I would LOVE to try their dishwasher packs! I want to try the hand soap- I have trouble finding soap that doesnt dry out my hands. I love their baby wipes! I use them exclusively for my baby girl. The Lavender hand wash sounds heavenly! I'd really like to try the dishwasher packs. I've used the detergent for some time now and love it! I love their dishwasher packs! All I use now. I would love to try the laundry packs! I would love to try the dishwasher packs! Thanks! So far I have tried their wipes, all purpose cleaner, hand soap, and bathroom cleaner. I can honestly say that I thought they all worked really well. I was very pleased and look forward to trying more of their products. Thanks! I've never tried the products before, but I am interested to try the dish soap. I would love to try the wood cleaner. I would love to try the Hand Wash! Seventh Generation is a great brand, I always use their soaps for dishes and laundry! I want to try the Lavender Hand Wash. I would like to try the Lavender Purifying Hand Wash. I love their dish soap and would love to try their dishwashing pacs. I love their dish soaps! I like the Lavender Purifying Hand Wash. I most want to try the Lavender Purifying Hand Wash. Thanks. I love their all purpose cleaners and laundry soaps. We love the dishwasher liquid detergent! I want to try the laundry soap. I have read good reviews. I'd like to try the natural laundry detergent packs. I want to try the Dishwasher Pacs first. I really want to pay more attention to the wood in my house especially with new wood floors and cabinets. I want to try the laundry packs! I want to try the Natural Laundry Detergent Pacs. We've used the diapers and wipes and non-chlorine bleach. I would love to try the Monodose Laundry Detergent Packs. I want to try the Monodose Laundry Detergent Packs the most. I love their baby diapers! i like the wood cleaner! I wanna try The Dishwasher Pacs! I'd love to try the Laundry Pacs or the Dishwasher Pacs! like to try their Wood Cleaner! I want to try the dishwasher tabs the most. I can't wait to try the dishwaster pacs. I love their dish soap! I have not tried any of their products but I would love to try their Automatic Dishwasher Pacs. 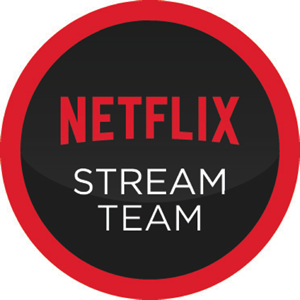 I have been using this brand for years! I love their unscented fabric softener sheets as well as their lavender eucalyptus scented ones when I can find them! I would love to try the hand wash. I want to try the natural laundry detergent packs. I've never tried the products but I would like to give the Lavender Purifying Hand Wash a try. I would like to try the Specialty Wood Surface Cleaner most. I'd like to try the dishwasher packets!